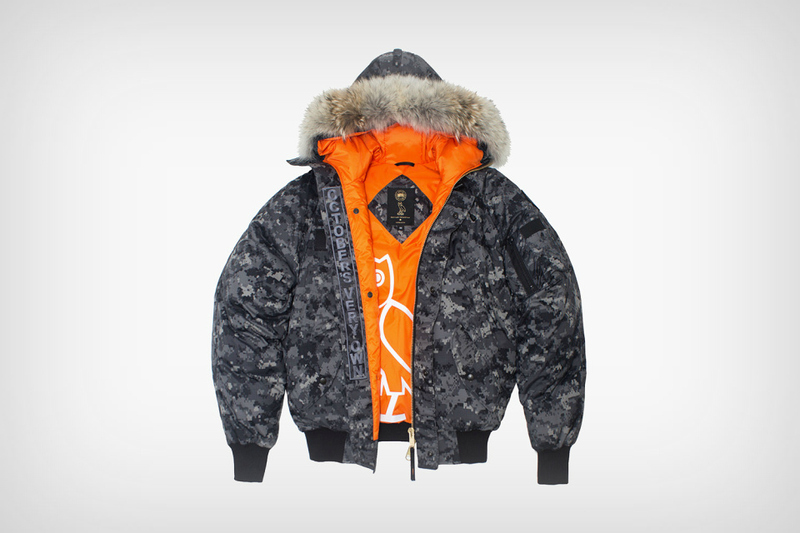 Drake‘s October’s Very Own has teamed up with Canada Goose just ahead of the holidays for a 2014 capsule collection. The collection features two pieces. First of which being a sleeveless vest and the second is a winter jacket with sleeves and fur, more suited for Northern environments. 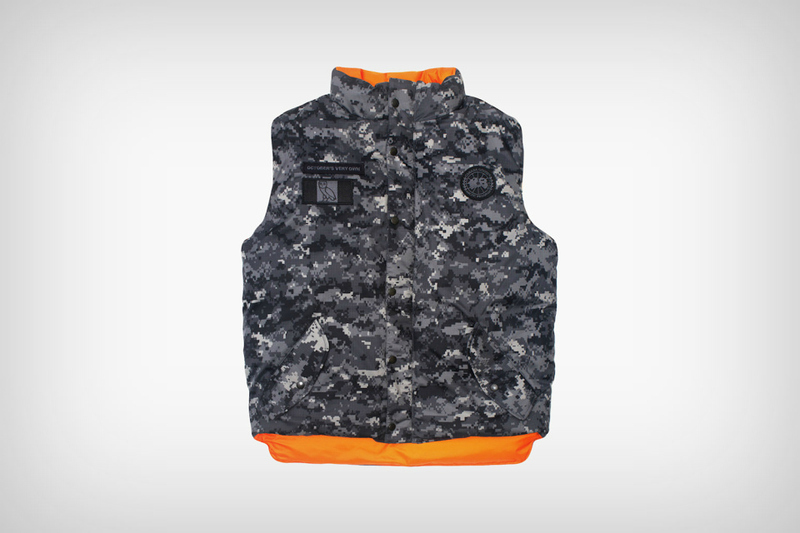 Each piece features grey and black digital camouflage and orange lining on the interior. The October’s Very Own x Canada Goose 2014 Capsule collection is currently available at OVO’s flagship store and will be available online beginning on December 18th.